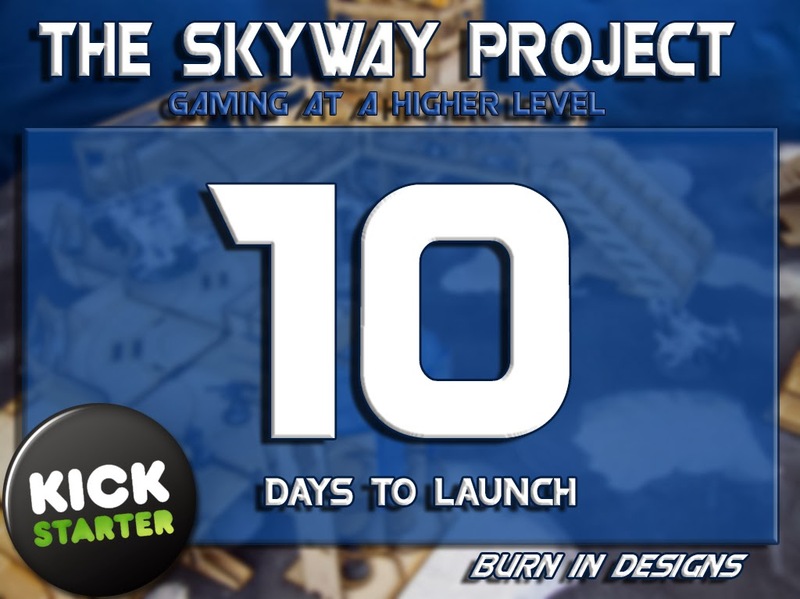 10 days to launch of the Skyway Project. For the next 10 days we will be previewing different parts of the kit and giving additional details about each one. First up is the standard walkway deck. This part is available in 3 different lengths 5, 8 and 11 inches and features a fully engraved surface. The design is modeled after the tube road systems you see in scifi films and anime like Cowboy Beebop. The hoops are designed to give the maximum area for large figures and even vehicles. The kits include the walkway deck, hoops and pylons.